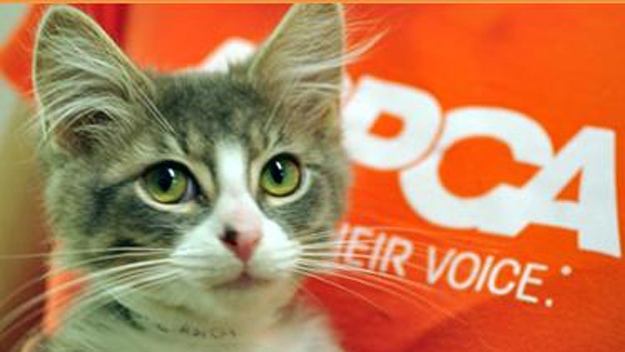 The American Society for the Prevention of Cruelty to Animals (ASPCA) is the foremost advocate and defender of animal rights since its inception in 1866 by founder Henry Bergh. Believing that all animals deserve respect and kindness, the organization has worked hard to drive legislation and programs to that end. The following article on urine marking is one of the many resources they provide to better the lives of animals and the understanding of their caretakers. The most common behavior problem reported by pet parents of cats is inappropriate elimination. It’s estimated that 10% of all cats will eliminate outside their litter box at some point in their lives. Quite a few of these cats have issues with some characteristic of their litter box (please see our article on Litter Box Problems for more information), but approximately 30% don’t have litter box problems at all. These cats are urine marking, and urine marking isn’t a litter box problem—it’s a communication problem. Urine marking is a form of indirect communication used by cats. Why Do Cats Urine Mark? Animal species who live in social groups in which the members depend on each other for survival have sophisticated interpersonal communication. Particularly animals who can cause significant harm to each other—like dogs—have developed a social mechanism for preventing conflict through interpersonal ranking. They are prepared to assume either a leadership or deference position, and they can read another animal’s body language to interpret his intentions and react accordingly. But cats have a somewhat unique social structure in that they do not hunt, eat or sleep in groups like dogs. Given the opportunity, cats go off on their own when they mature and claim certain areas or territories for themselves. They might share a territory with other cats, but it’s a time-share approach—they avoid each other whenever possible. They haven’t developed a social system or a communication system like dogs. Socially, cats who greet often handle things like two neighbors in an argument—although one might back down if he thinks he might get injured—neither individual will ever perceive himself as having lower status than the other. Cats have no system for working out face-to-face disputes, so face-to-face disputes can be dangerous for them. To avoid disputes, cats communicate indirectly—they leave messages. Cats have numerous ways to leave messages for each other, and one way is through urine marking. By urine marking, a cat tells other cats of his presence and makes a statement about such things as what piece of property is his, how long ago he was in the area and, over time, when other cats can expect him to return. Cats can even advertise when they are looking for a mate. All this information is available to other cats in the urine. This way, cats rarely have to meet up with each other. Cats who live in houses might not have to hunt for their food or find a mate, but they still look at their world in the same way as cats who must survive on their own. They can only use the social and communication skills that nature gave them. If their world is predictable, there are no conflicts, they are spayed or neutered and they don’t need a mate, cats have little reason to mark and probably will not. But, if they want a mate or they are distressed about something, they’ll deal with their distress like any cat: they’ll mark their territory. To a cat, marking helps keep unwanted individuals away—whoever and whatever those individuals may be—and it creates an atmosphere of familiarity that makes them feel more secure. How Can I Tell If My Cat Has a Litter Box Problem or a Communication Problem? It takes a bit of detective work to determine whether your cat has a litter box problem or is urine marking. Cats who urine mark also use their litter boxes for voiding, so urine in the litter box does not rule out marking outside the box. But urine marking deposits are usually qualitatively different than inappropriate eliminations outside the box. Urine marks are usually deposited on vertical surfaces. Marking on a vertical surface is known as spraying. When spraying, a cat usually backs up to a vertical object like the side of a chair, a wall or a stereo speaker, stands with his body erect and his tail extended straight up in the air, and sprays urine onto the surface. Often his tail and sometimes his entire body twitch while he’s spraying. The urine smells pungent. The reason cats can learn so much from the urine mark of another cat is that a urine mark isn’t just urine. It also contains extra communication chemicals. Those chemicals smell pungent to people. The cat is an unneutered male. Although female cats as well as neutered and spayed cats can urine mark, unneutered males have more reason to do so. One function of urine marking is to advertise reproductive availability, so unneutered males may urine mark to let females know they are available. There are multiple cats in the household. The more cats who live in a home, the more likely it is that at least one of them will urine mark. Houses that have more than 10 cats invariably have urine marking problems. There has been a change in the household in some way. Cats don’t like change. When things change, cats can become stressed. Urine marking behavior can be triggered by someone moving in, moving out, getting a dog, cat or other animal, building a room, remodeling the kitchen, changing work hours, going to stay in the hospital, having a baby, even buying a new coat or bringing home groceries in an unusually large paper bag. One of the ways cats deal with this stress is by marking their territory. They might do it to preempt a problem by leaving a message that this place is theirs, or they might do it to comfort themselves with their own familiar scent. There is conflict between cats. The conflict can be between cats in the house or between the housecat and other cats he sees outside. Cats mark in response to conflict with other cats for the same reasons they mark in response to household changes. Cat-to-cat conflict is one of the most common reasons for urine marking, and it’s usually anxiety based rather than intolerance based. A cat doesn’t necessarily get angry because another cat has the audacity to come into his territory. Rather, he gets upset because he doesn’t have the social skills to deal with the intrusion. If a cat is prevented from avoiding the other cat, he’ll become increasingly stressed and mark often. Neuter or spay your cat. Although marking isn’t limited to advertisement for a mate, advertisement is one reason that cats mark. Neutering or spaying is a proven treatment for cats who mark as a reproductive advertisement. Close windows, blinds and doors. Prevent your indoor cat from seeing other neighborhood cats. Attach a motion-detection device to your lawn sprinkler. Set the sprinkler by windows to deter the presence of neighborhood cats. Determine which cat is marking. If you have multiple cats and aren’t sure which cat is marking, speak with your veterinarian about giving fluorescein, a harmless dye, to one of your cats. Although the dye does not usually stain furniture or walls, it causes urine to glow blue under ultraviolet light for about 24 hours. If you can’t get or use fluorescein, you can temporarily confine your cats, one at a time, to determine which one is marking. Provide enough litter boxes. Although marking is not an elimination problem, if there are too few litter boxes for all the cats, conflict will arise over litter box use and can contribute to marking. Make sure you have one box for each cat in your house, plus one extra. For example, if you have three cats, you’ll need a minimum of four litter boxes. Place additional boxes in locations where the anxious (marking) cat spends the majority of his time. Place litter boxes in low-traffic areas with at least two exit routes.Again, the object is to avoid conflict between cats. In addition, if you have a dog, keep the boxes away from your dog’s food and water bowls. Cats can mark in response to dogs as well as other cats. Scoop at least once a day. In addition to scooping the litter box daily, clean all litter boxes with warm water and unscented soap, or baking soda and no soap, and completely replace the litter once a week. This helps reduce the presence of any offending “other cat” scent. Provide multiple perching areas. Cats need their own space. Conflict can often be reduced simply by providing more perching areas so that all cats can have a place to rest well away from the others. Creating space can be as easy as clearing window sills or shelves, or purchasing multiperch cat trees. Distribute resources. Provide multiple sources of food, water, scratching posts and toys so that each cat can make use of them without coming into contact or having a conflict with one of the other cats. Play with your cats. Increased play with individual cats in different areas of your home can sometimes reduce conflict. Encourage play with toys that dangle on strings suspended from sticks. Attempts to encourage mutual play can sometimes help reduce conflict, but it might simply increase conflict if your cats react poorly at the very sight of each other. Please see our article on Aggression Between Cats in Your Household for more information on reducing conflict between cats. Use a synthetic cat pheromone in areas where the cat has marked.Products like this deliver a synthetic pheromone that has been shown to have some effect in relieving stress in cats. Deliver the pheromone through a diffuser plugged in close to where your cat has seen the outdoor cats. This type of product is typically available as a spray or through a diffuser, and can be found in many pet stores and online. Use medications. Because marking is often a sign of stress or anxiety, medication can provide additional treatment help. If you’re considering behavioral medication, be certain to first consult with your veterinarian, a Certified Applied Animal Behaviorist (CAAB or ACAAB) or a Diplomate of the American College of Veterinary Behavior (Dip ACVB). These animal behavior experts can evaluate your cat’s behavior problem and help you develop a treatment plan, give you advice on suitable medications and work with your veterinarian to maximize the success of your cat’s treatment program. For help locating a behavior expert in your area, please see our article Finding Professional Behavior Help. If your cat is intact, neuter him or spay her. Use medications. Because marking is often a sign of stress or anxiety, medication might provide additional treatment help. Always consult with your veterinarian, a Certified Applied Animal Behaviorist (CAAB or ACAAB) or a veterinary behaviorist (Diplomate of the American College of Veterinary Behavior, Dip ACVB) before giving your cat any type of medication for a behavior problem. Do not rub your cat’s nose in his urine. Do not throw things at your cat. Do not clean up accidents with an ammonia-based cleanser. Urine contains ammonia, so cleaning with ammonia can attract your cat that same spot to urinate again. Good info, I have a female sprayer!! Vet put her on meds. After reading the post I have got to know about the urine issue that the pet cats face various urine issue which must be treat as soon as possible.